Once again, the Communist Party of Greece (KKE) member at the EU Parliament, Kostas Papadakis, raised his voice against the imperialist interference of the USA-EU and their allies in the internal affairs of Venezuela. "Only the people of Venezuela themselves have the right to decide for their future and the internal affairs of their own country. We condemn and denounce the imperialist plans which are being promoted through provocations, contact groups and all undermining means by the U.S, the E.U. and their allied governments in Latin America in order to overthrow the elected President of Venezuela, by installing their puppet. None of them care about the people of Venezuela. Their aim is to control the Energy resources of a rich in natural resources country. We condemn every scenario about a coup and imperialist military attack which is called "humanitarian aid" or is being promoted under other pretexts. 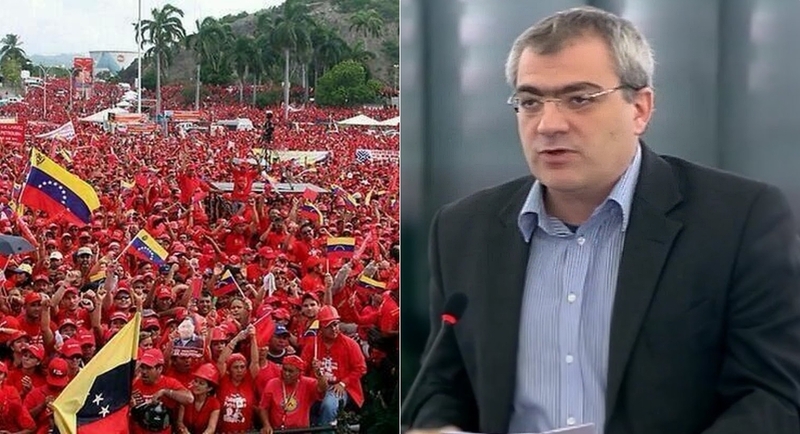 We express our solidarity with the Venezuelan people to the -strucked by the capitalist crisis- people of Venezuela and the struggle of the Communist Party of Venezuela. Imperialism isn't invincible; the people are the actual superpower and they will win".